A blog about RV Life and Simple Living Creating a simpler life, one day at a time. During Thanksgiving week of 2019, I had the pleasure of visiting The Coushatta RV Resort in Kinder, LA. I was blown away. The colorful doormat above greets you as you walk into the lobby to register for your RV site. It reads "Luxury RV Resort" and it is just that --Luxury. 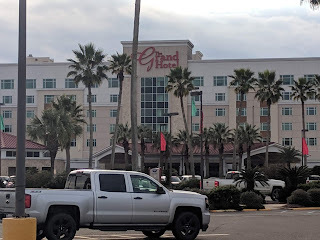 In my humble opinion, this RV Resort has everything you need to enjoy a great vacation or just relax. This upscale park has something for everyone. First of all, let's talk about the RV sites. Each RV sits on its own paved lot. Each site is a spacious pull through with room enough to accommodate a 30-foot trailer with a tow vehicle. A picnic table is provided for convenience. The site is well lit. There are lighted posts stationed in front and in the rear of your camper. Your privacy is respected. I have not heard loud noises, partying or music during my stay. But that's not to say that it is boring, everyone I have met has been friendly. In fact, I've made a few friends that I intend to keep in touch with. Cozy chalets are available for couples (single) and families (double). I requested to see one and they are so cute. 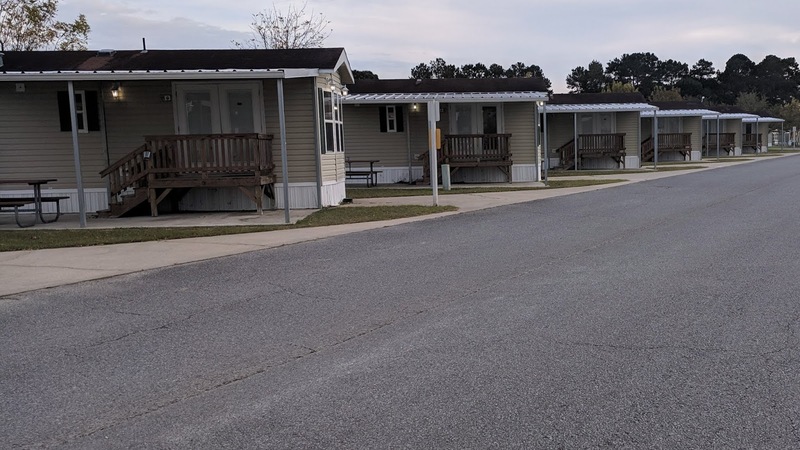 All the comforts of home are included: full-size kitchen, private bedroom, private full-size bath, a sizeable living area with tv, a deck, and an outdoor barbeque grill. The chalet 'double' includes bunk beds for the kiddos and a larger deck for entertaining. 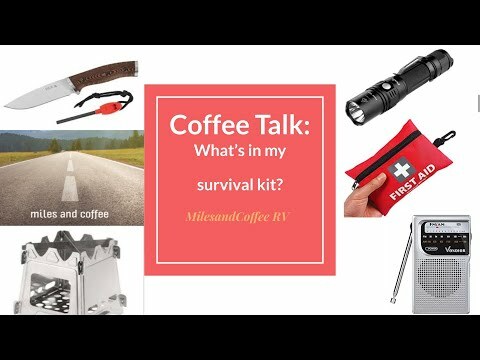 Next, let's talk about the amenities included for RVers. 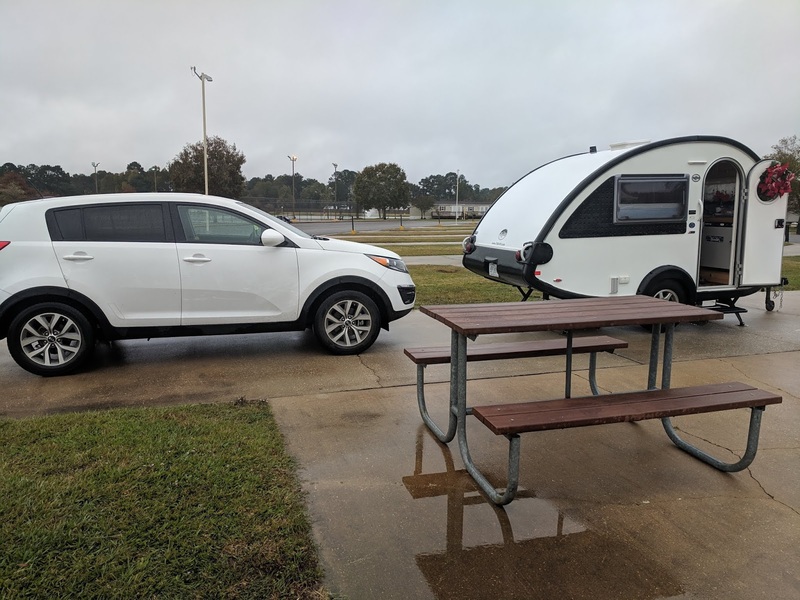 Again, I will emphasize the fact that you will find plenty to do here at the Coushatta RV Resort. These are just some of the activities provided. The Coushatta RV Park sits on about 40 landscaped acres. 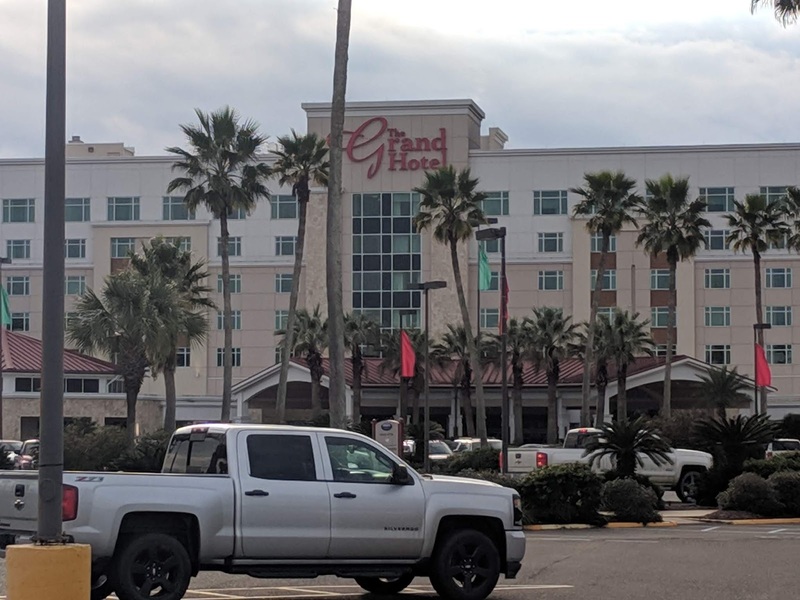 The casinos are literally right across the parking lot for gamblers and restaurants to satisfy every craving. The rest is up to you and your imagination. 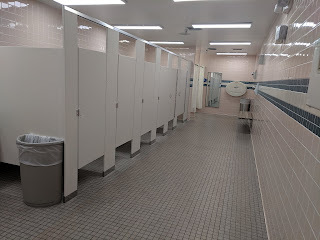 I must not fail to mention how immaculate the bathhouses are. They are absolutely pristine at all times. 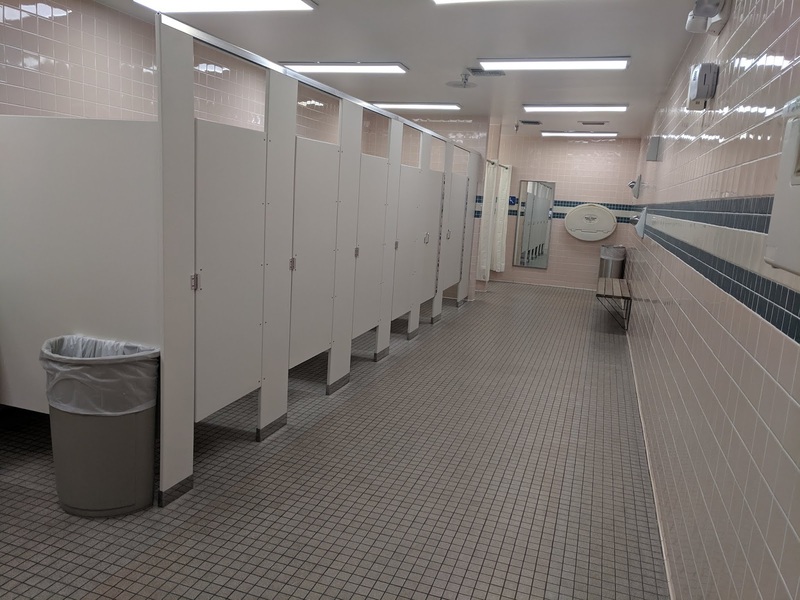 You would be hard pressed to find paper or standing water on the floors, even during peak hours. The showers are kept tidy and ready for use. Last but not least is, of course, the fabulous restaurants. My favorite fare was found at the Terrace Cafe. The Unlimited Breakfast Bar and Unlimited Salad Bar are great bargains for those who want variety. The service is friendly and prompt. 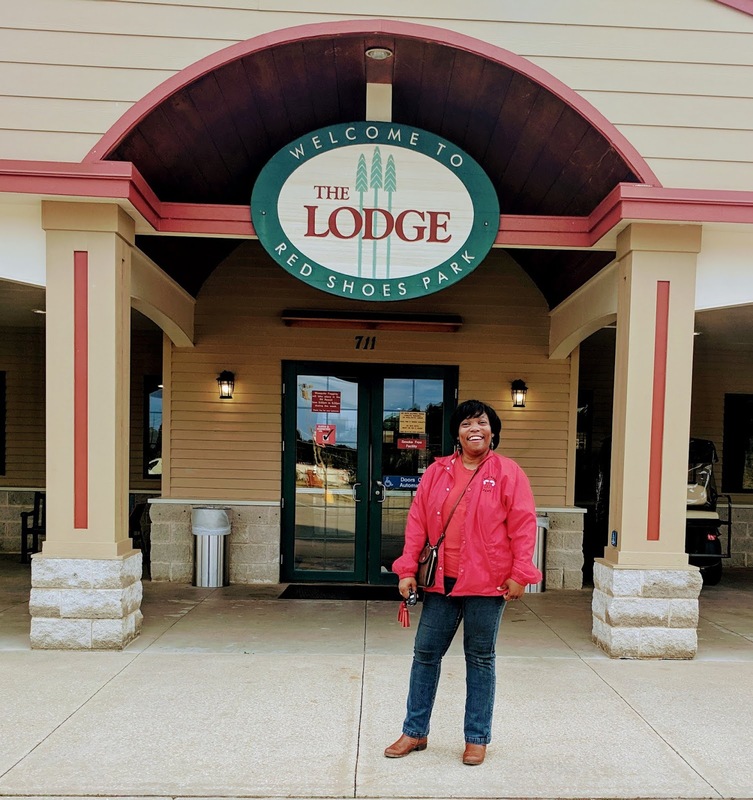 On Tuesdays, the Breakfast is half off for guests who are 55 and older. Other restaurants include Nathan's Hot Dog stand and Hunt's Pizza. Perks are a plus! 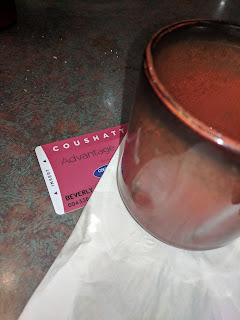 Sitting at a card game or a slot machine can be rewarding for Coushatta Advantage Members. Some meals or overnight stays can be comped after you attain 250 points. Members also enjoy gifts, discounts, and other rewards. Make sure to inquire about how to receive your Advantage Card at check-in. Points add up to big savings! 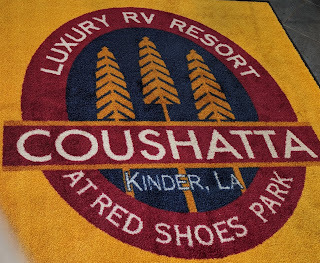 Overall, I am very impressed with Coushatta RV Resort. Everyone is friendly, the service is great, and everything is immaculate. I'm looking forward to coming back very soon! Thanks for visiting! Check back soon!